So straight off... I don't actually spend a lot of money on my hair generally. I mean, I pay my amazing hairdresser to cut and colour it and I buy products to take care of it, but I don't go all out with salon or high end products. Honestly, a big part of the reason for this is because I have been consistently let down by a lot of higher end products that I've invested in so I feel like it's not worth the roulette when you're paying at least 5x what you pay at the drugstore for products that might disappoint. Know what I mean? Anyway, it's been a good year for hair over here. I mean, I've damaged the hell out of it with bleach, but it's been a fun year and I've been experimenting a lot and am currently (as of this past weekend) a vibrant redhead! Anyway, keep reading to take a look at my hair care favorites of 2014! Is anyone surprised by this one? This one really came in to be a favorite in the second half of the year, but it really has been the only product I've been using on my hair since. (Until now, since red hair requires colour protecting shampoo & conditioner and I feel like this would wash my colour right down the drain.) The first thing I loved about it is obviously the smell. It smells so delicious, but it doesn't linger on the hair in a way that is super obvious. It's soft and subtle in the way that I love. The more important thing, though, is how this actually performs on my hair. Which is awesome. 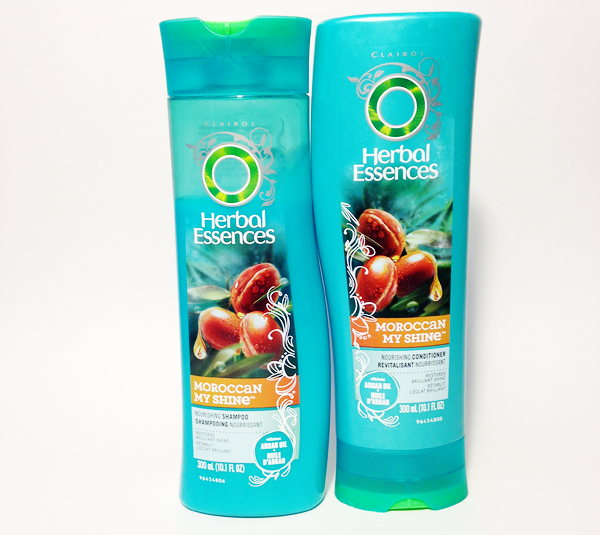 After using this pair, my hair is definitely clean without feeling dry or stressed out. It leaves my hair silky and soft and I don't have to worry about tangles in the least when I go to comb it out after my shower. Once my hair is back to a less high maintenance colour, this will definitely go back into rotation. You guys know I love an oil and I'm getting more and more adept at applying oils to my hair without looking like an oil slick in the end. The thing I love about this one is that it's kind of a no brainer in that regard. I use 1 or 2 pumps of this in my palm, rub my hands together, and then work it through the ends of my hair from about my ears down. At the end, I run my hands through my hair from the roots just to distribute a little bit of product towards the top of my hair as well. 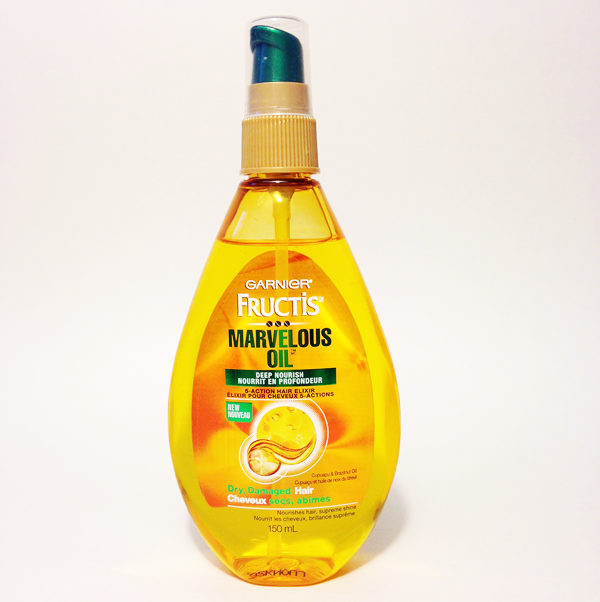 I find that it works really well to keep my hair soft and shiny. I also like to use this after I brush out curls to give some soft definition to them and I find it works really nicely for that as well. Of course, this mini-review wouldn't be complete without telling you how much I love the smell of this one as well. I really, really, really love the smell of this stuff. Yum! Let's get this out of the way straight out of the gate: This conditioner smells like marshmallows and it is amazing. The smell alone gets me on board with this. However, the thing that really sells me and moves this into yearly favorites territory is that it's fast. 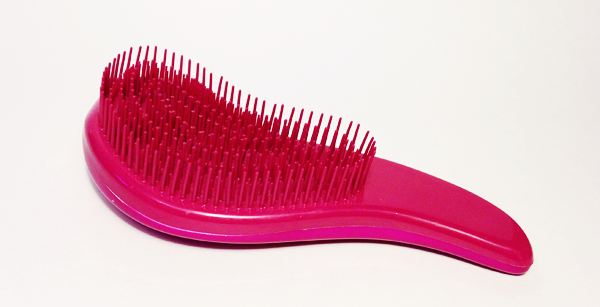 You don't have to leave this sitting on your hair, and I actually find that it works better if you don't. 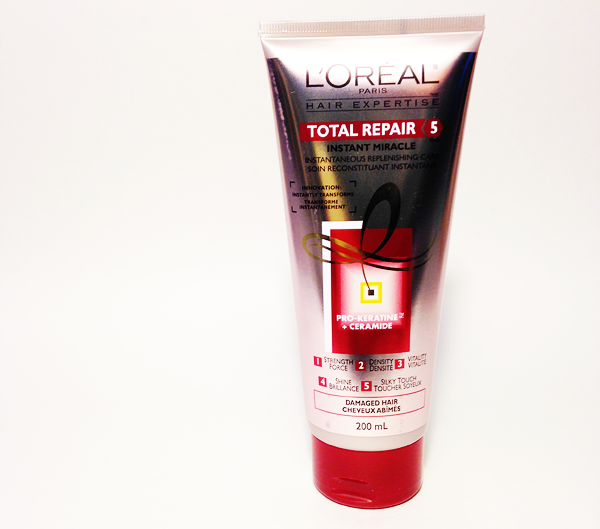 Apply it, work it through your hair, and then rinse. No waiting. And you end up with silky, soft, manageable hair. This claims to make hair stronger, but I can't really speak to that. I'm more of an instant gratification kind of a girl when it comes to my hair care products. Anyway, this is great and you can often get it on sale for a really great price, which makes it even greater in my book! I reviewed this brush a couple of months ago, and I think I actually love it even more now than I did then. Since I wrote that review, I've been curling my hair a lot and I find that this is the best brush to brush through my curls once they've set and give them a looser, easier style. I also find that my hair tangles more by the end of the day when I curl it and this brush makes quick work of getting through those tangles without damaging my hair. I like that, unlike a lot of this style of brush, this has a handle that's actually really comfortable to hold onto. Honestly, I couldn't be happier with this purchase. This is another one of those Winners finds that I couldn't be happier with. 2014 was really the year when I decided to use better quality styling tools on my hair and I don't think I could ever go back. Before I got this, I was using a Conair flat iron that just wasn't doing what I wanted it to and was definitely damaging my hair in the process. I find that this flat iron is perfect for both straightening and curling my hair. It has a dial for the heat setting and gets really hot on the hottest, which definitely makes it quick and easy to get all kinds of looks. I find that this leaves my hair really shiny after using it and I don't feel any tugging on my hair when I use it. I really am very happy with this purchase and would try other products from RX7 in the future. So there you have it. 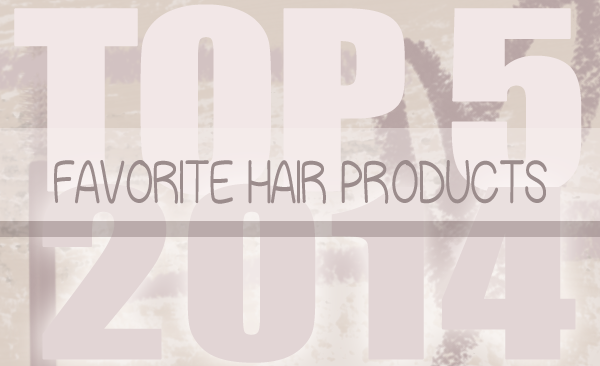 My top 5 favorite hair care products and tools of 2014. Stay tuned for my last 2 2014 wrap up favorites posts to come in the next week or so. I plan on doing Bath & Body Favorites as well as Random Favorites. And don't forget, today is the last day to enter my Palmers Cocoa Butter Formula Skin Therapy Oil FACE Giveaway! Don't forget to enter!